Many of you may be asking, "What is Naan?" Naan is a flatbread that is a staple food in Southeast and Central Asia. It is especially common in India, Pakistan, Afghanistan, Iran, Uzbekistan, and surrounding regions. Naan is very similar to Pita Bread but a bit softer. When reheated Naan quickly regains the same texture that it has when it is first made. We have found that Naan is a perfect complement to just about any dish. We have dipped it in hummus and tomato sauce. Used it in place of bread when make sandwiches and even just snacked on warm Naan with a just a little bit of butter. We always wanted to make Naan but we weren't sure how it was made, so we looked it up and found this recipe. Now it is time to see how our Naan comes out and if it can stand up to the store bought brands. 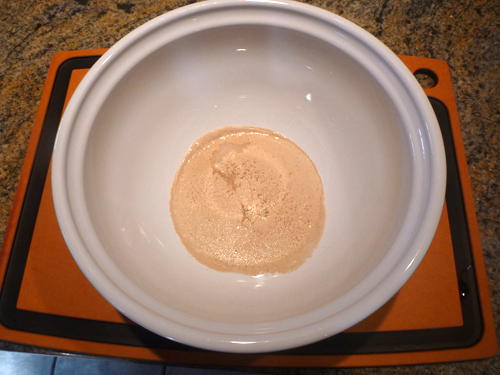 In a large bowl, mix together water, yeast, and sugar. Let stand for 5 minutes, or until foamy. 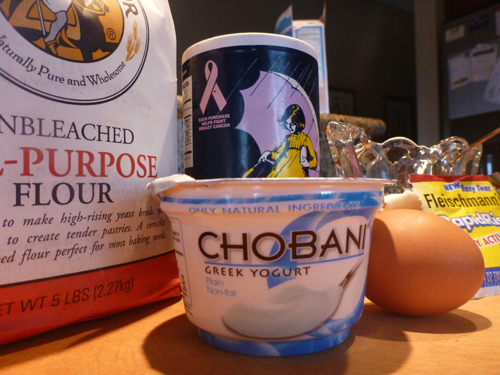 Add flour, salt, oil, yogurt, and beaten egg. 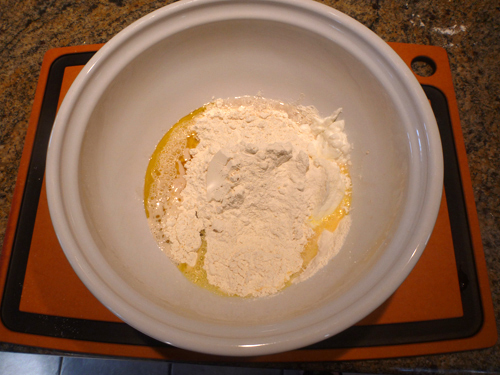 Stir until you have a dough that’s easy to work with, add more flour if needed. Knead the dough until smooth and elastic. 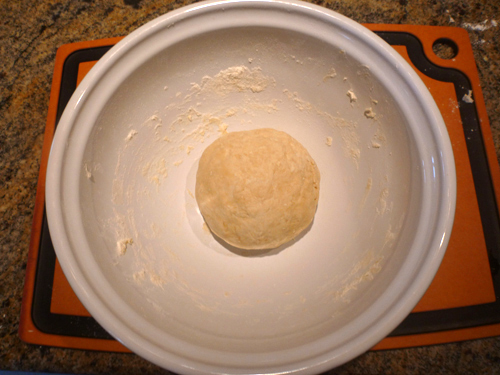 Transfer the dough to a large greased bowl and cover with a towel. 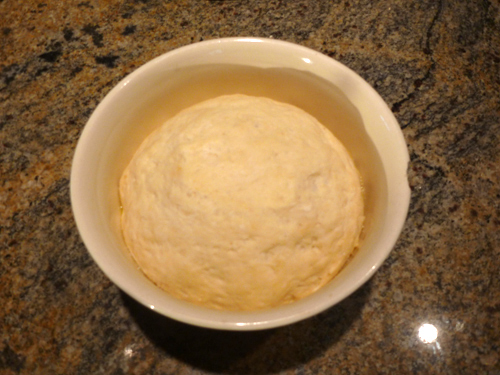 Let the dough rise until it has doubled in size, or about an hour. 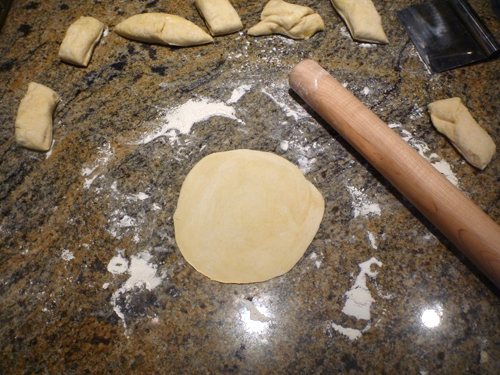 On a floured surface, divide the dough into 6-8 pieces. Roll out each piece very thinly and set aside. This recipe delivers real deal naan, hot and fresh at home. Making the naan was actually much easier than we thought it would be. We had originally thought naan was baked in the oven, but it turns out it only needs to be quickly fried in a pan on both sides. The process reminded us of making pancakes. The naan came out tasting just like the store bought brands. It was slightly crispy on the outside and light and airy in the middle. 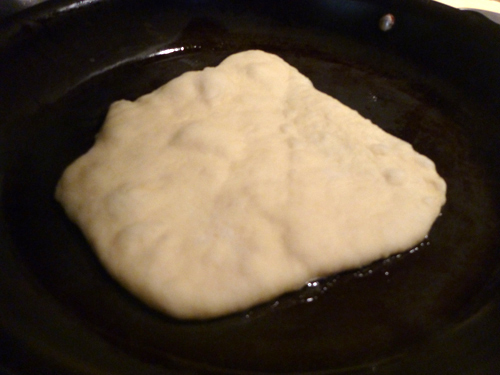 You could easily add garlic or other fresh herbs to the dough to make different varieties of naan. This naan recipe is a Should Eat. If you have never had naan, we highly recommend trying it. 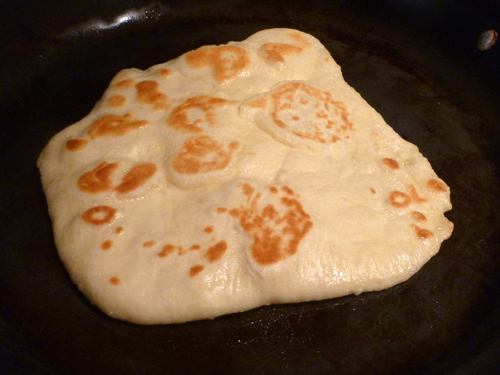 If you like naan we suggest making it at home, you will appreciate it even more fresh out of the pan.